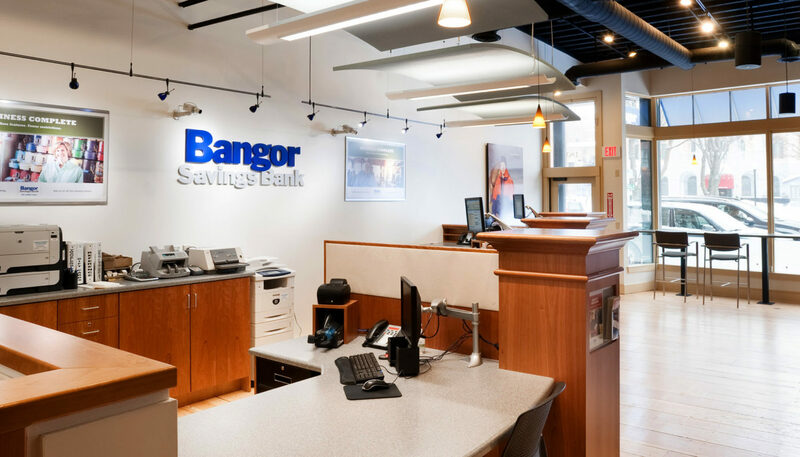 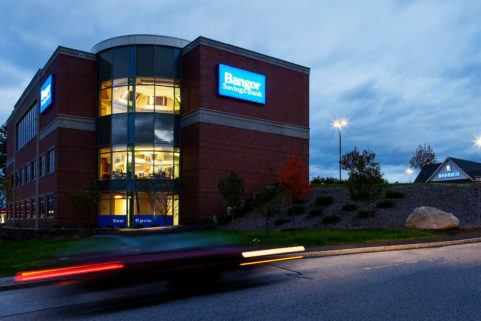 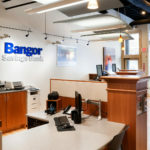 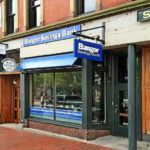 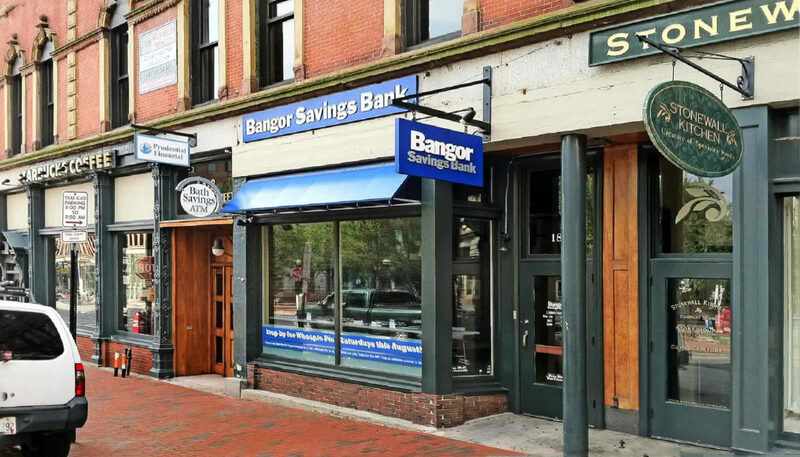 This Bangor Savings Bank branch, tucked into a storefront in Portland’s busy Arts District, is an example of the economies of scale that can be achieved with a small branch in the right location. 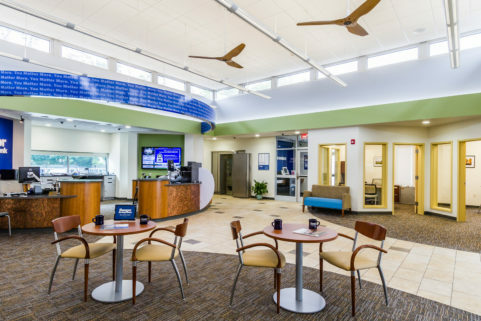 Inside and out, this branch is designed to harmonize with existing retail establishments, beginning with cafe-style seating at the front window. 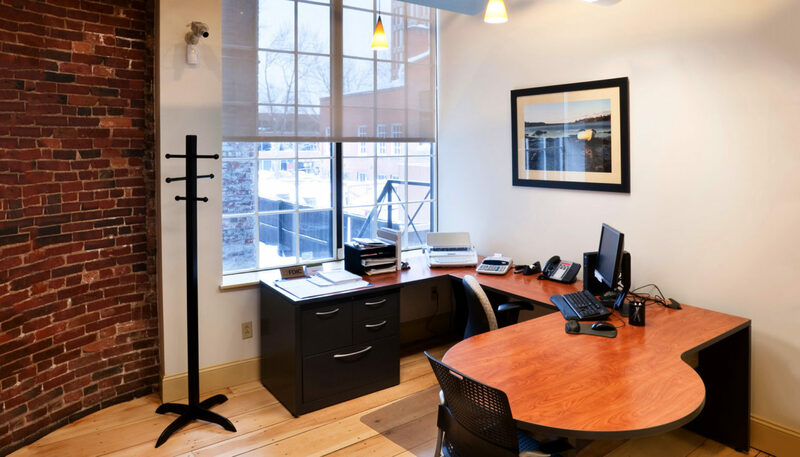 The project repurposed existing brick, hardwood floors, and even pipes and conduits to create a sophisticated urban look, while also reducing the budget. 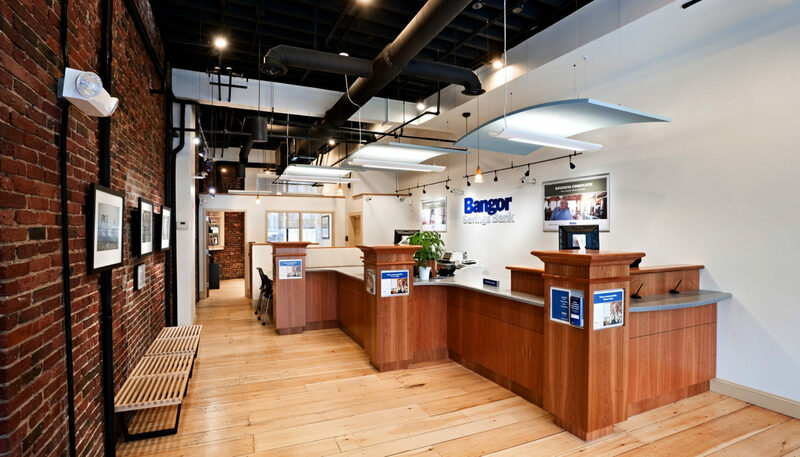 Curved acoustic ceiling panels with reflective lighting (a.k.a. 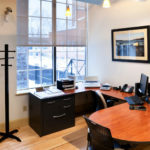 sound/light clouds) maximize comfort and productivity while lowering energy usage. 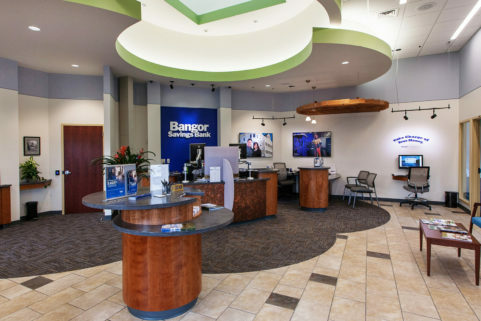 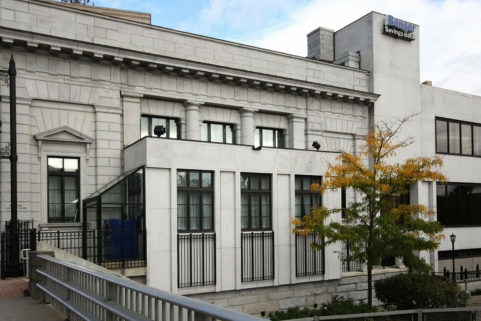 Graphics, color scheme, and the bank’s signature cherry teller line bring brand continuity to this compact, customer-friendly neighborhood branch.